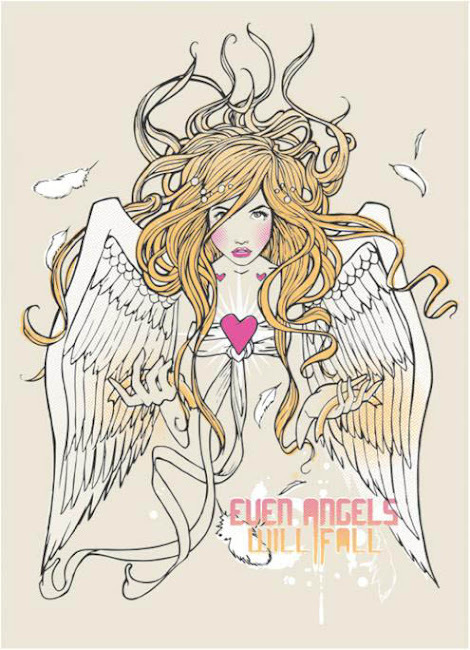 We have previous blogged about Lynx Excite Fallen Angels campaign, which has seen them working with a number of artists around the UK with a passion for all things winged. UK street artist Copyright was one of the first artists they worked with producing this video which saw them following the angel loving artist as he traveled the country painting some of his signature angels. London based artist / illustrator Miss Led is another angel loving artist Lynx have been working with. The artist has been creating some artwork that will be reproduced on a set of exclusive Lynx T-shirts inspired by the campaign. They also spent the day with Miss Led in her London studio and filmed the artist as she created her work and talked about a recent fall she had herself! You can read an interview with Miss Led on the Lynx blog here or to find out more about the artist visit her Miss Led website.